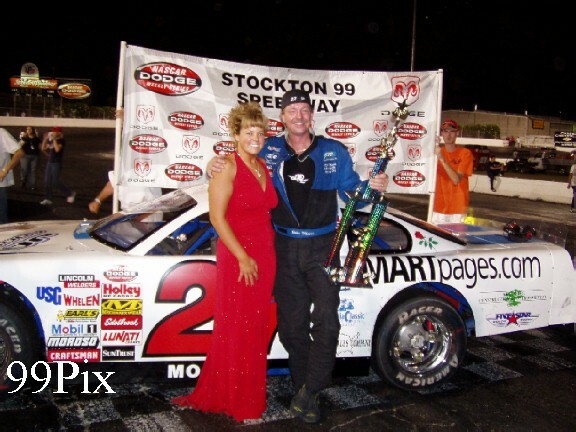 STOCKTON -- Ken Boyd had not won a race at Stockton 99 Speedway in seven years, and he was going to enjoy himself when he finally took the checkered flag on Saturday night. Boyd jumped out of his car and excitedly hugged the members of his team after winning the Supermodified Racing League's Wild West Shootout event. He smiled broadly as he posed with his family and team with the trophy, and he excitedly waved at the fans. 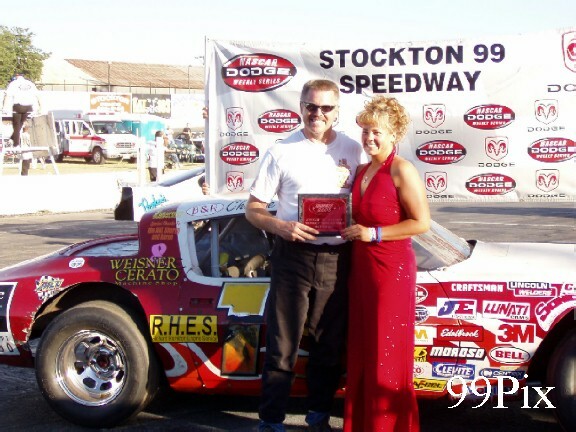 The Ceres driver won five track titles at Stockton 99, and he understands the joy of winning one the Fourth of July weekend. 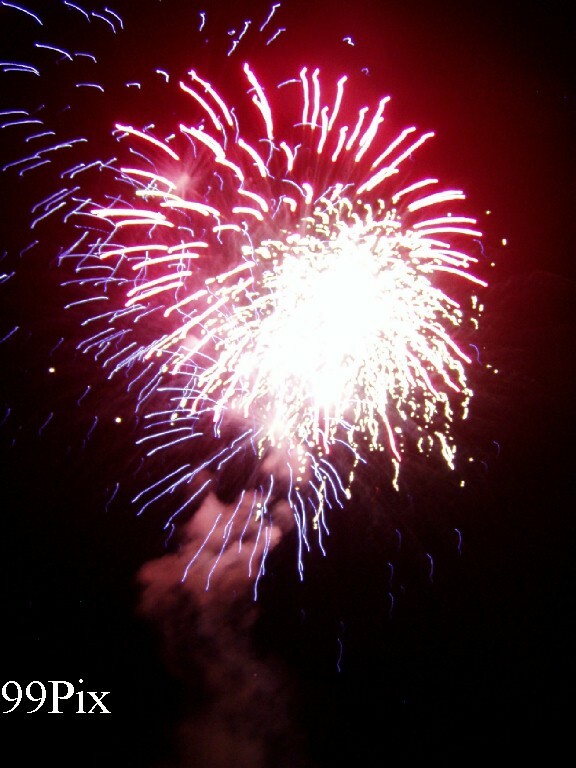 "This is Stockton, and it's the July 4th race, and it is kind of special," Boyd said. "It's just always a big deal around here." Boyd needed a win to stay in the SRL points race, and he came back home to do it. He is one of Stockton 99's most successful drivers, having won four titles from 1988-91, then winning again in 1998. 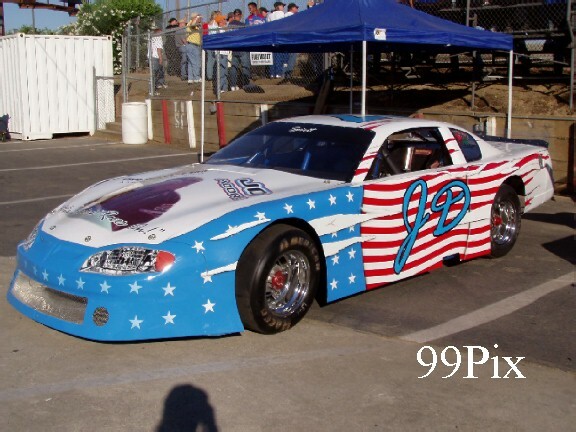 During his four-year reign, he set a national short-track record by setting the fast qualifying time 39 consecutive times. 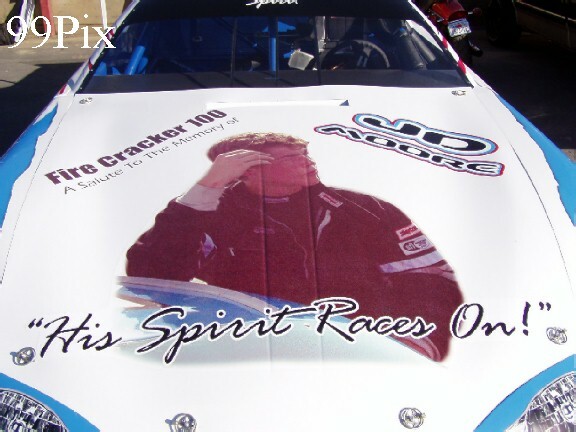 But he had not won at Stockton since he won his last championship. "That's another reason it's special, because Madera had become my best track, and I hadn't won here for a while," Boyd said. Boyd started on the pole on Saturday, lost the lead on the first lap to, #12, Harold Reiker Jr. of Roseville and fell to fourth. He recovered, and he and Reiker had an exciting side-by-side battle until he finally got by Reiker in turn No. 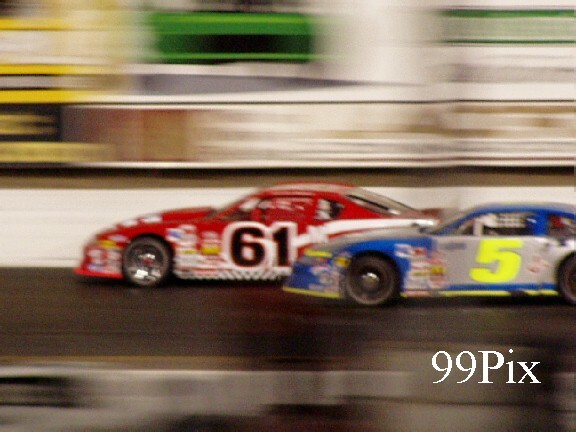 1 of lap 57. Mark Smith of Tracy, #52, was second, and #38, Troy Ermish of Fremont was third. Joey Stearns of Stockton won the SRL semi-main event to earn a spot in the main event. SATURDAY, JULY 2 -- Granite Bay's #27, John Moore won the second leg of the 100-lap HAVOLINE Tri Holiday Western Late Model Race Series. 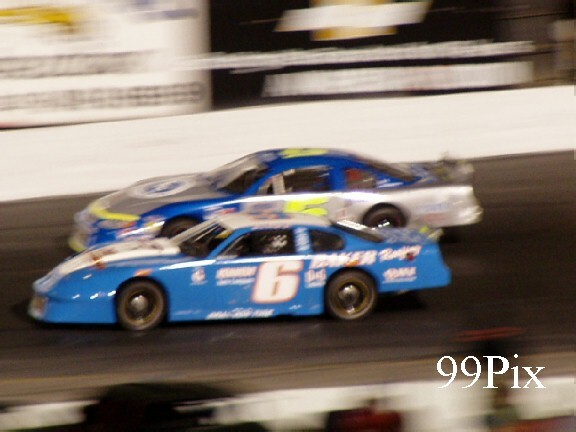 Moore started the race at the second position, but quickly took the lead by jumping out in front of teammate and pole position holder #20, Allison Duncan. 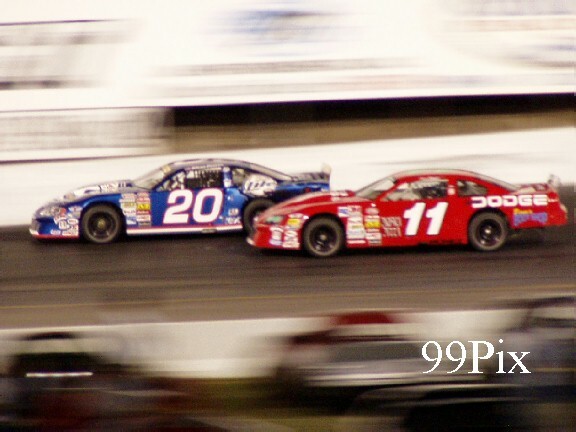 Through lap-43, Duncan challenged Moore hard for the lead position. Then Ripon’s Mike Regelman brought up a caution when he spun out on turn-2 into the infield. 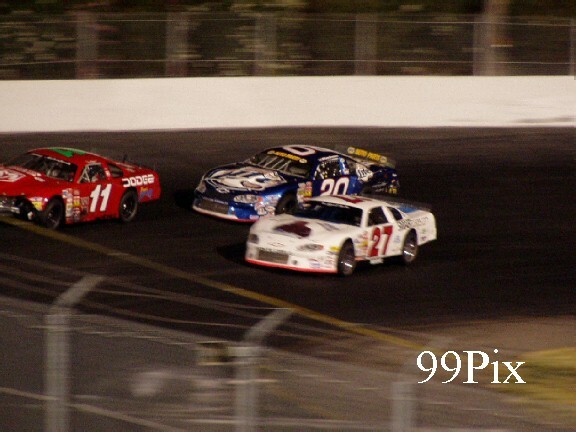 At the restart Duncan took the lead from Moore and continually stretched it through lap-85. 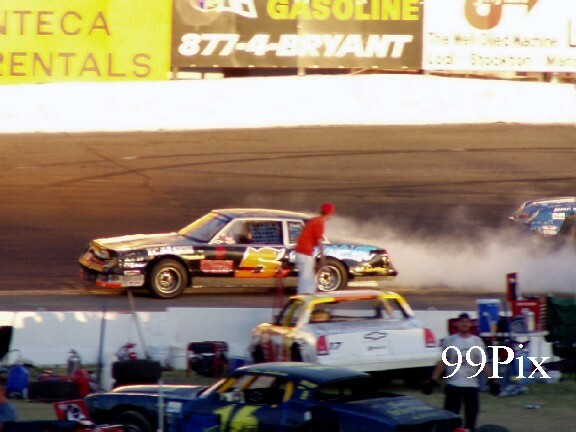 Heading into lap-86, Turlock’s #11, Chris Monez, who had dropped behind a lap following a collision, held up Duncan and created an opportunity for Moore to pass. Showing his mastery of the track, Moore retook the lead and was able to maintain it for the win. “Man, she’s tough,” said Moore of Duncan’s challenge for first. “But I told you guys last week what Sunday’s headline would read, ‘JD Moore, his spirit races on’.”Moore’s victory wasn’t the only noteworthy performance of the 100-lap race. 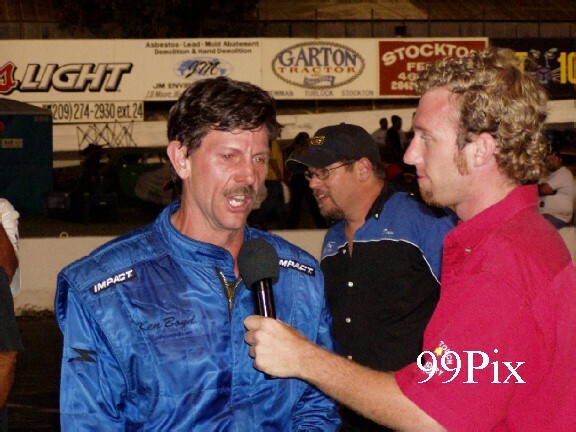 Stockton’s #5, Pete Anderson Jr., winner of the Tri Holiday’s first race, started in the eighth position and worked his way up to a fourth place finish. San Rafael’s Duncan maneuvered her way through a couple of collisions and earned a second, despite some competitor inflicted body damage. Stockton’s #6, Gary Shafer Jr. put on quite a performance, he started in the fifth position, dropped as deep as seventh at one point but worked his way up to a third place finish. 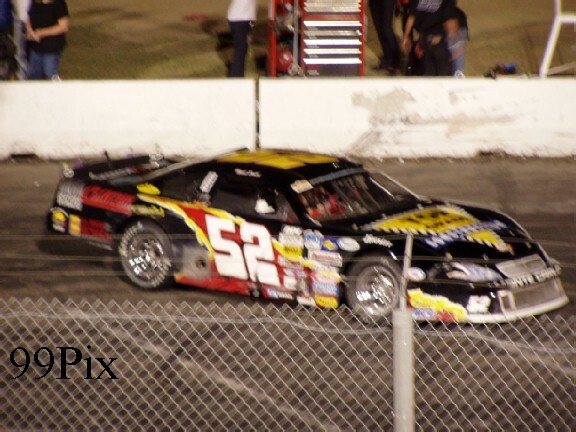 Manteca’s Danny Guibor, who started in seventh, was a serious contender for second throughout much of the race, he managed a fifth place finish, despite the fact that he is only a part-time competitor this season. 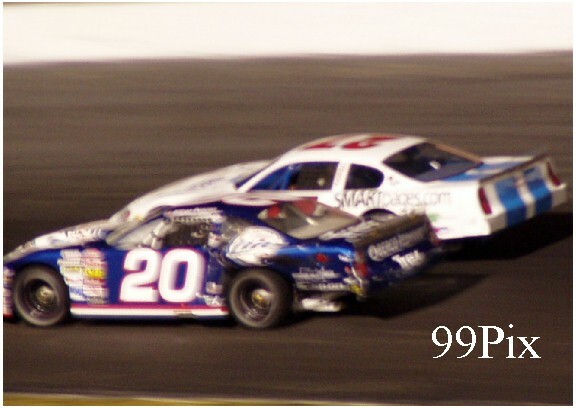 Regelman, in only the second late model stock car race of his career, pulled a ninth place finish out of the race. 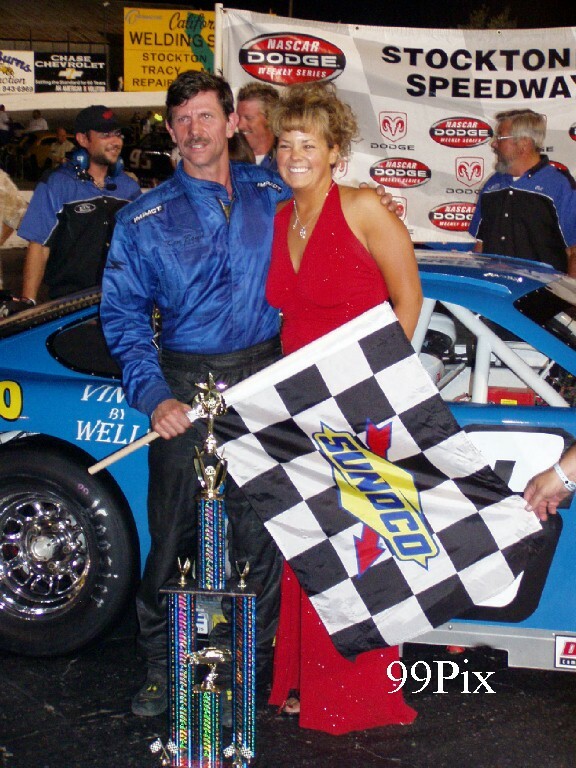 2004 WLM track champion Dave Byrd started in 16th and ended up in 8th. 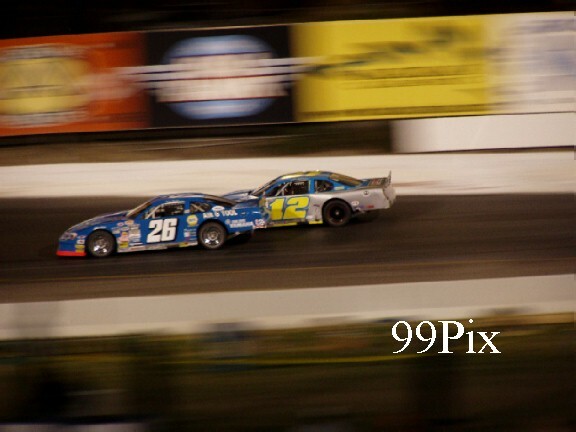 Anderson Jr.’s fourth place finish left him in the lead of the Western Late Model points race, however, NASCAR Diversity Program Driver Duncan’s second place finish moved her to the top of the Tri Holiday points board. 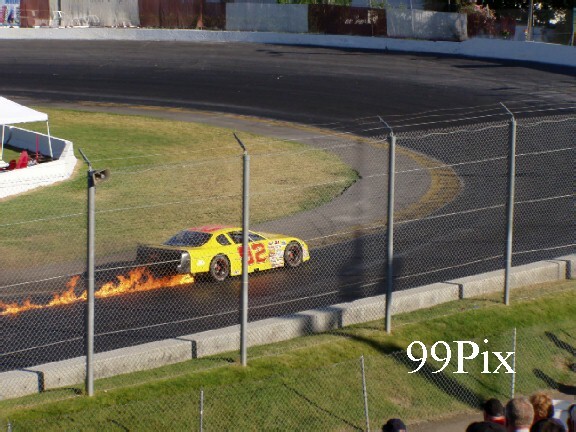 I qualifying, #92, Scott Masellis of Modesto forgot to put on his gas cap and caught fire!! Nobody was injured. 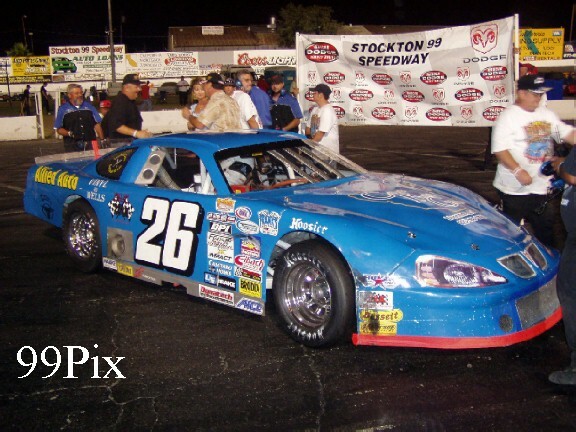 In CL BRYANT American Limited Stock Car action, Modesto’s Charlie Clawson took his third trip to the winners circle this season. He started the race in the fifth slot, worked his way up to second by lap-7 and took the lead away from Stockton’s Donny Darter on a lap- 15 restart. Stockton’s Chad Holman came in second, Escalon’s Darrell Hughes finished third, Stockton’s Dave Ball came in fourth and Manteca’s Mike Brooks Jr. rounded out the top five. Lathrop’s Mark Henslee took his third Pro-4 Trucks main event of the season. Lodi’s Mike Curry started the race in pole position and led it for the first four laps. 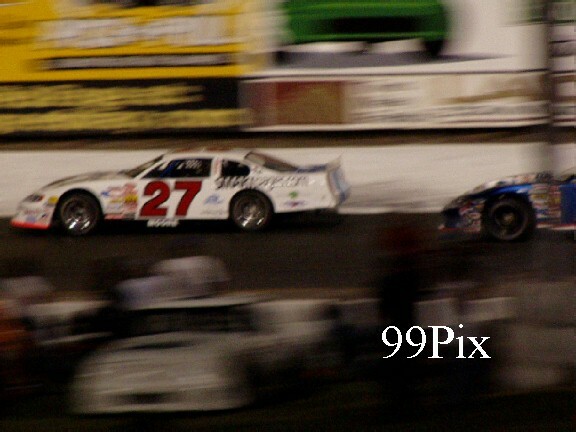 Henslee, who started at third, then took over and led through to the end of the 25-lap main event. No cautions flew in the clean Super Mini challenge. Curry finished second, Milpitas’ Ron Robeck came in third, Oakdale’s Nathan McNeil finished fourth and Hayward’s Walt Bruegger came in fifth. 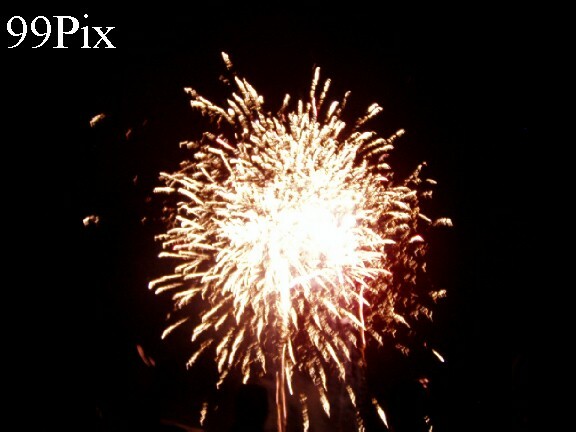 In addition to a great night of racing, Stockton 99 Speedway fans were blown away by an awesome fireworks extravaganza and the first 1,000 guests were given a free, quality Stockton 99 Speedway/CALIFORNIA WELDING SUPPLY baseball cap. 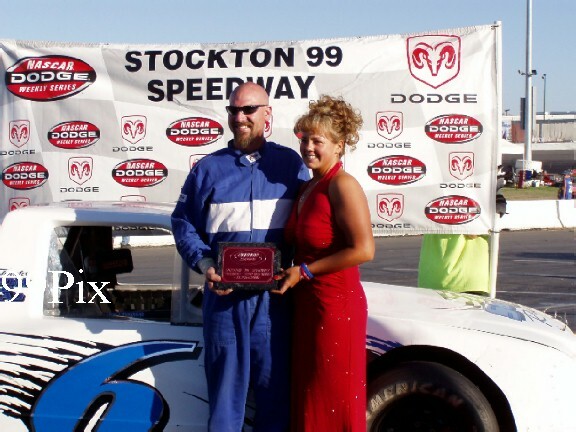 On Saturday, July 9 Stockton 99 Speedway will host DODGE NIGHT. The evening will feature dual 50-lap HAVOLINE Western Late Model and Grand American Modified main events, plus CL BRYANT American Limited Stock Cars and Pro-4 Trucks. On Saturday, July 16 CL BRYANT will be on hand handing out a free cases of oil to patrons during the NASCAR AUTOZONE SOUTHWEST SERIES 125-lap race by HAVOLINE.